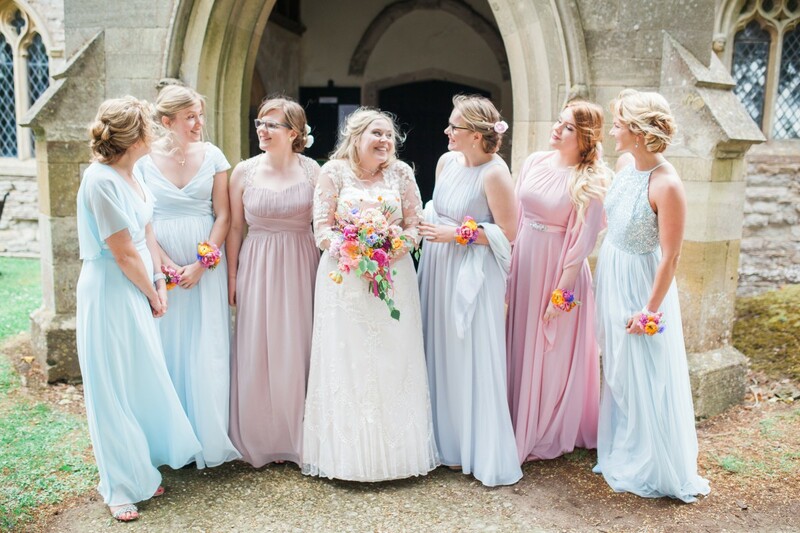 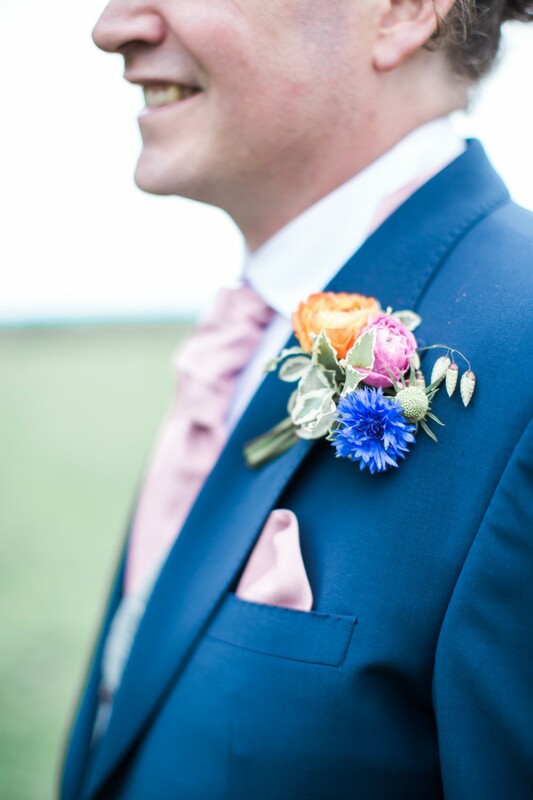 As you all know by now I love a colourful wedding, I particularly love blues, corals and bright cerise pinks. 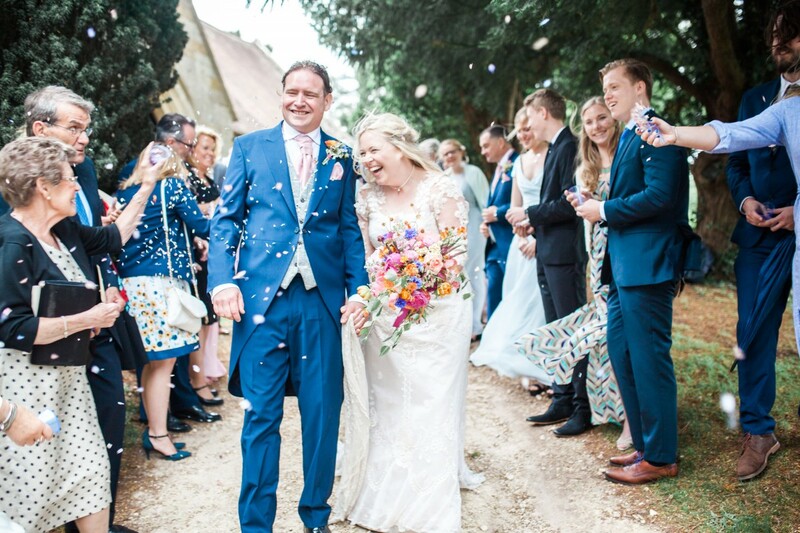 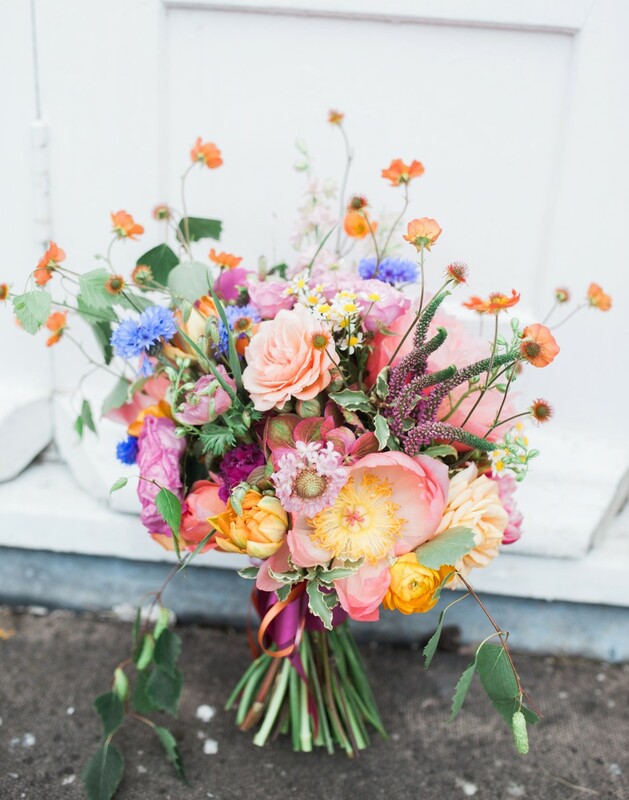 Evelyn and Mark chose to include these colours along with paler pinks, peaches and orange, as a hint to Evelyn’s Dutch upbringing and the result was a wedding full of bright, happy flowers! 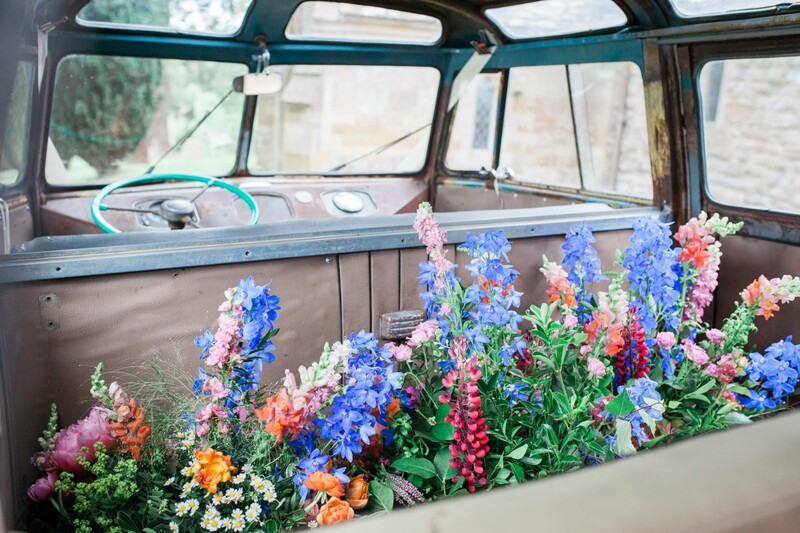 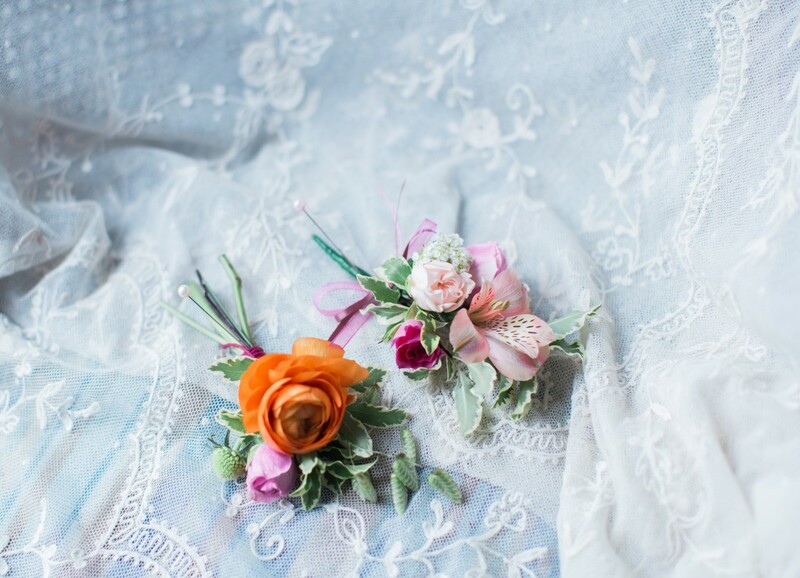 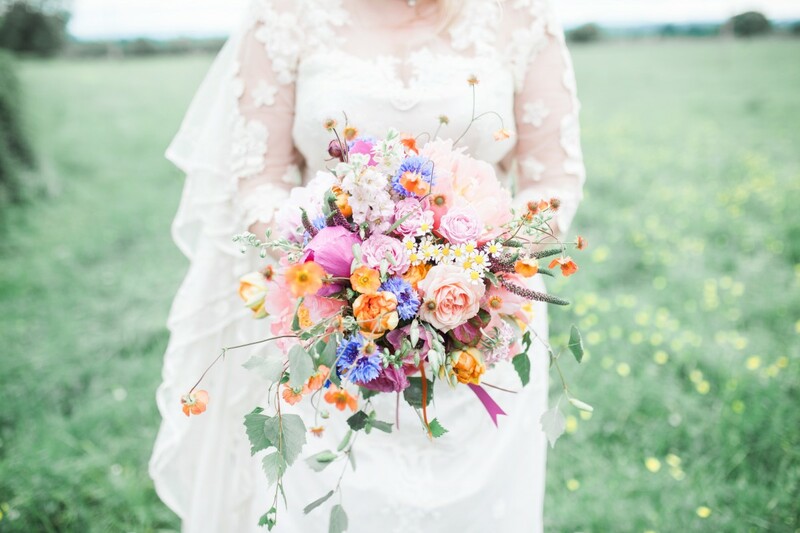 Weddings at the end of May can include some of the loveliest flowers, having the best of both worlds with the end of Spring flowers and early Summer flowers too. 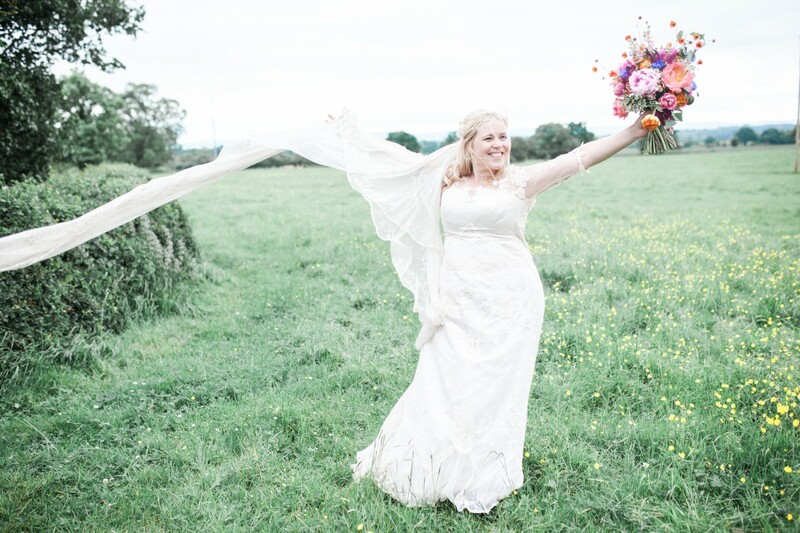 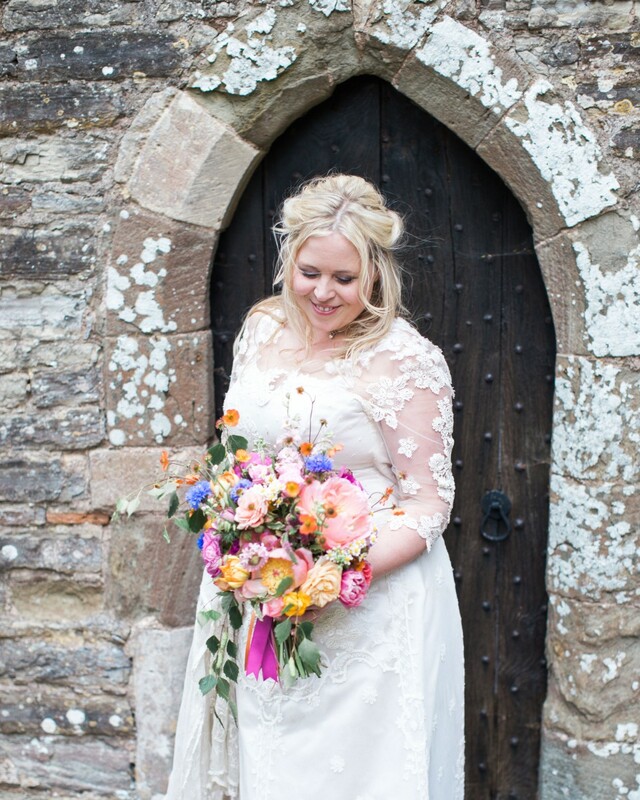 I included spring blooms like ranunculus, anemones and tulips (another little Dutch link) as well as stunning summer flowers including garden roses, peonies, cornflowers and geums – those little wild-looking orange flower which really added texture and movement to Evelyn’s bouquet. 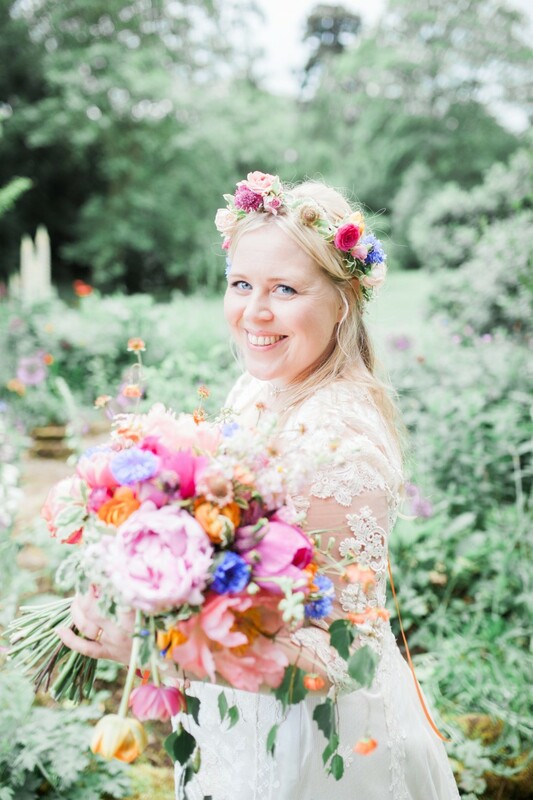 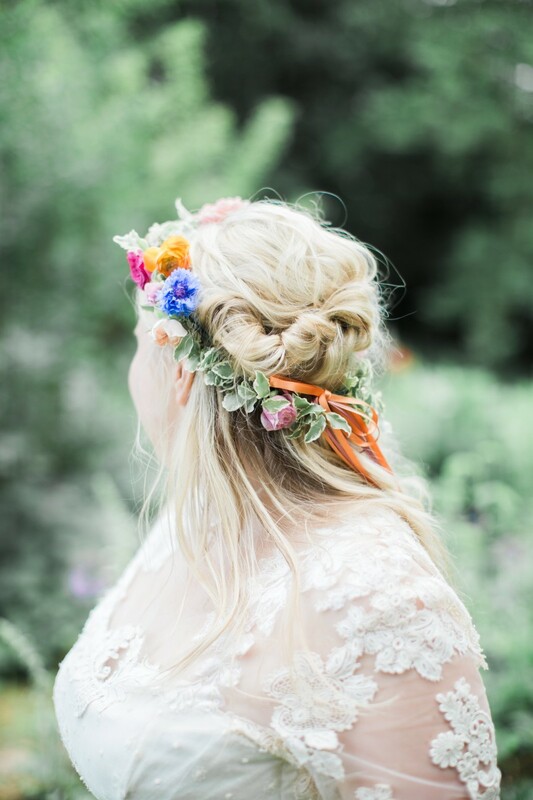 I made Evelyn a flower crown for a summery, boho look whilst the groomsmen wore colourful rustic buttonholes. 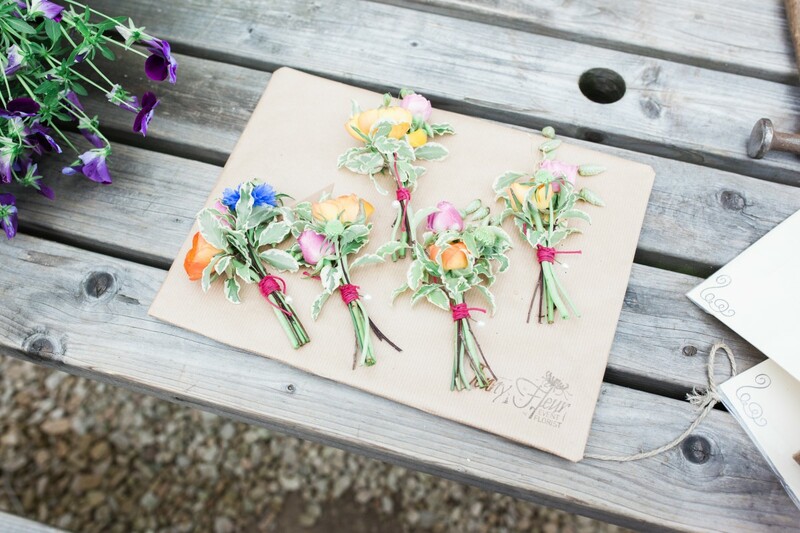 Evelyn’s bridesmaids all wore little wrist corsages of bright blooms. 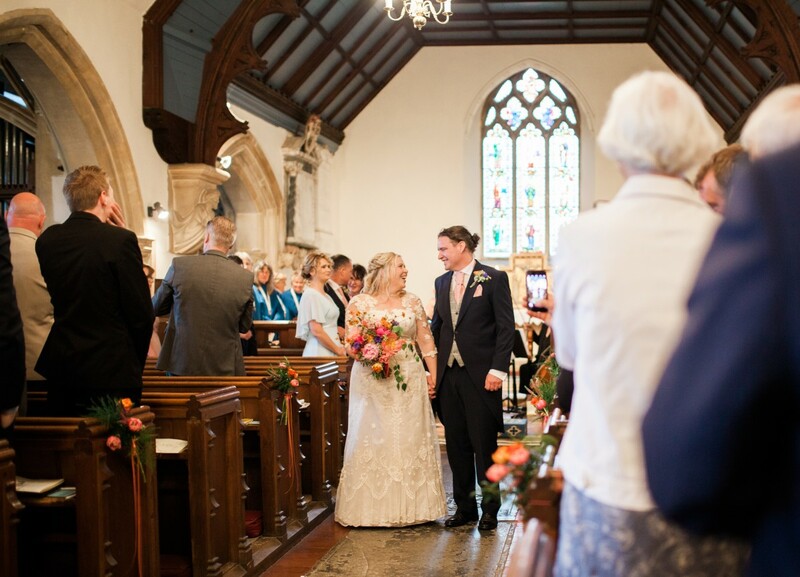 The ceremony was held in the couples local church in Forthampton which I decorated simply inside with little pew ends and a couple of churn arrangements up by the alter which they then moved back to their recpetion venue at Hellens Manor in Much Marcle, Herefordshire – in their awesome old classic VW camper! 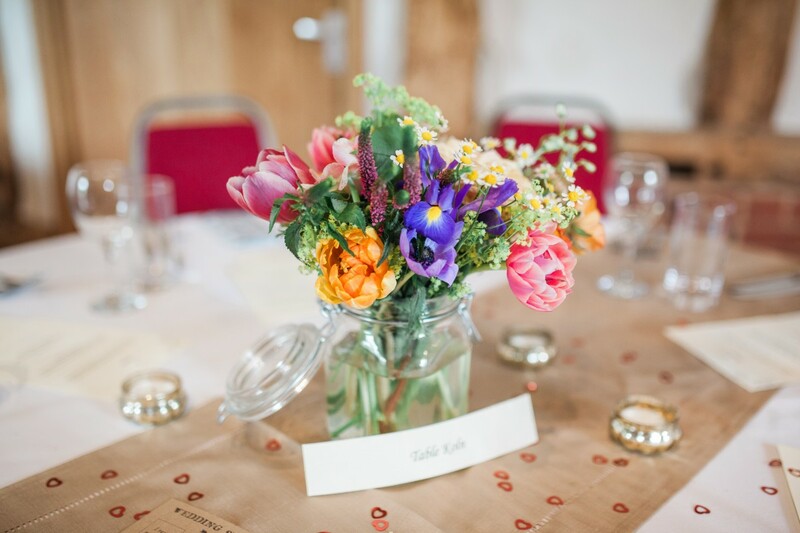 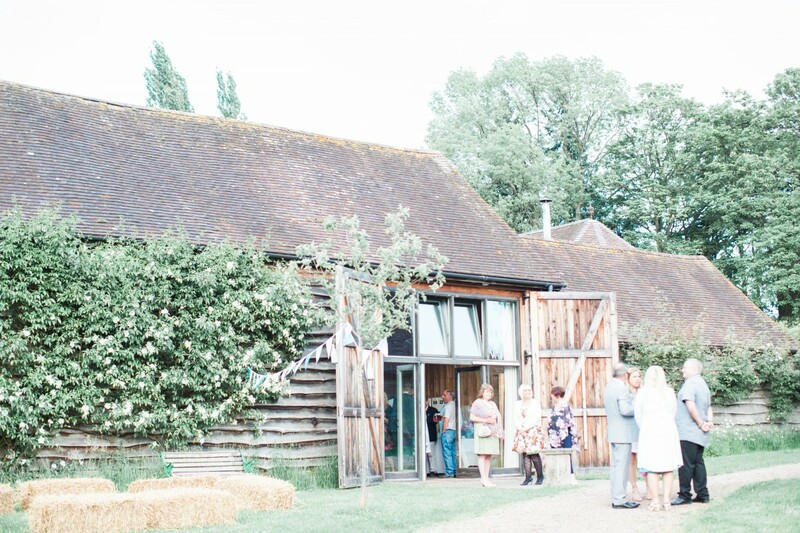 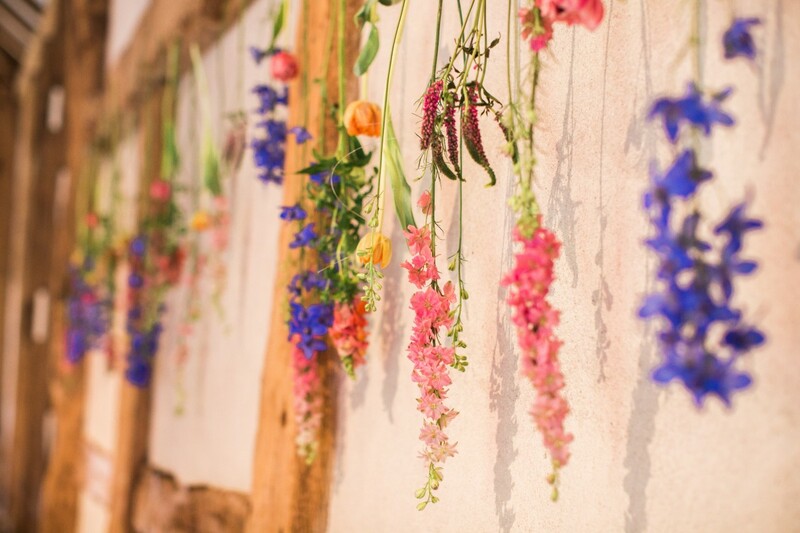 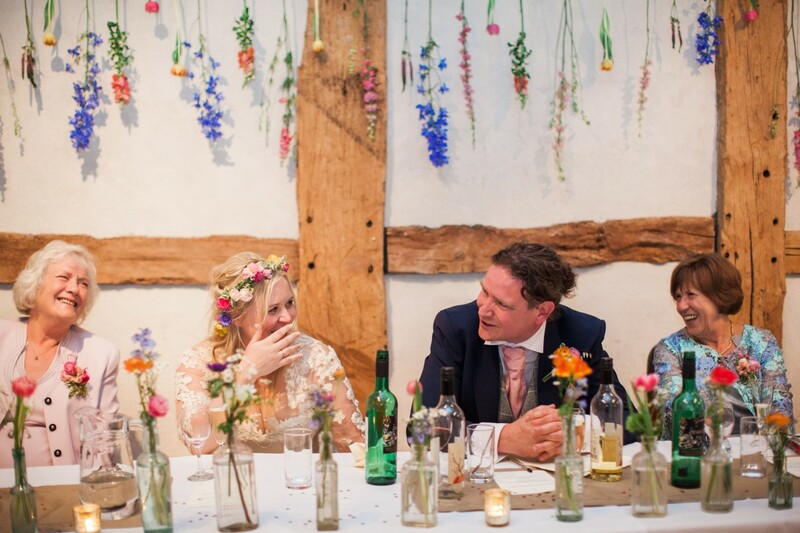 The stunning barn at Hellens lent itself to rustic, relaxed decor so the table arrangements were kept simple with kilner jars of flowers on the guest tables. 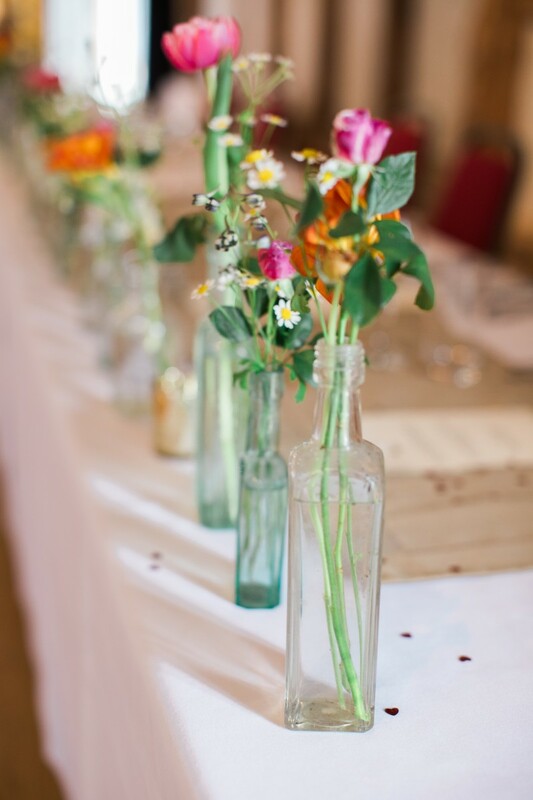 The top table was decorated with vintage bottles of flowers and I also hung lots of colourful blooms behind for a bit of a statement backdrop. 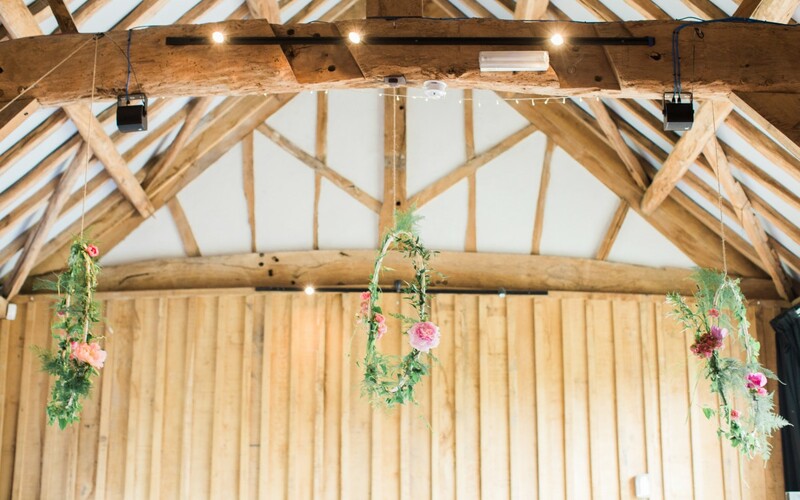 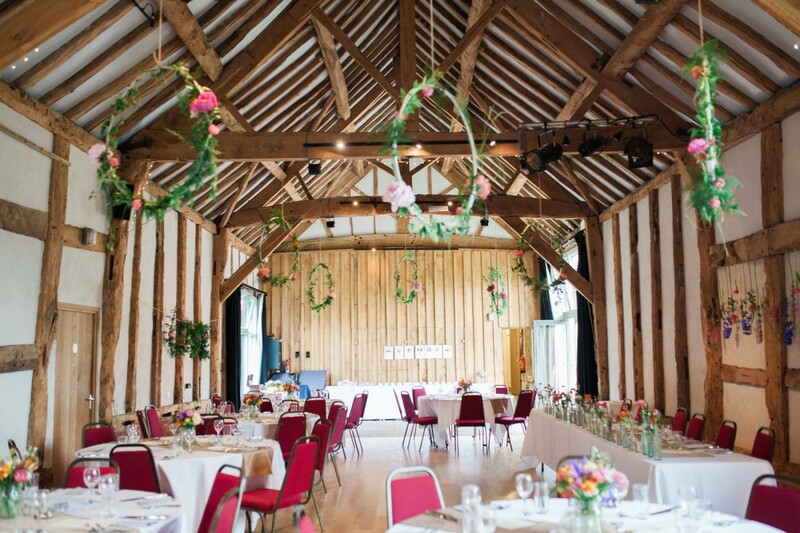 I also added some fab hanging hoops of foliage and flowers from the wooden beams which added a bit of fun and detail in the open space of the barn. 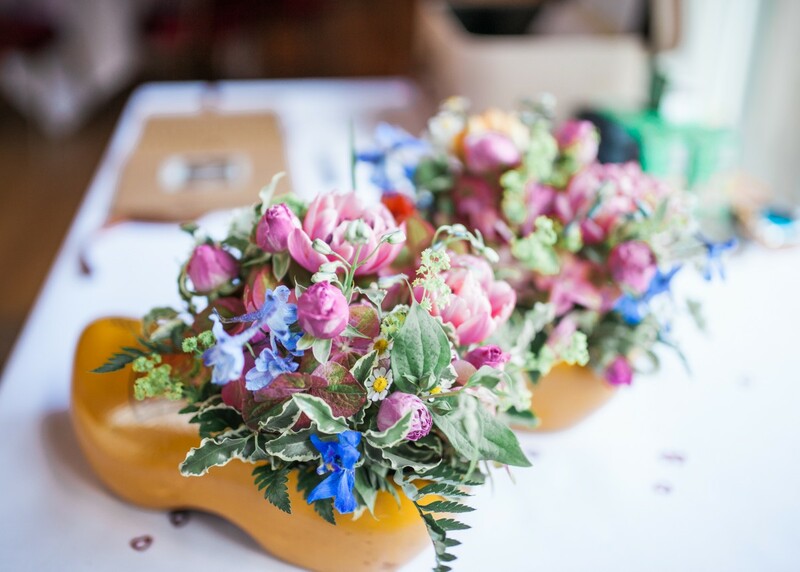 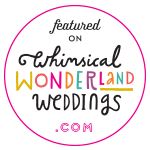 I also added some other fun little details to this colourful wedding including filling some Dutch clogs that Evelyn had provided with some brightly coloured blooms. 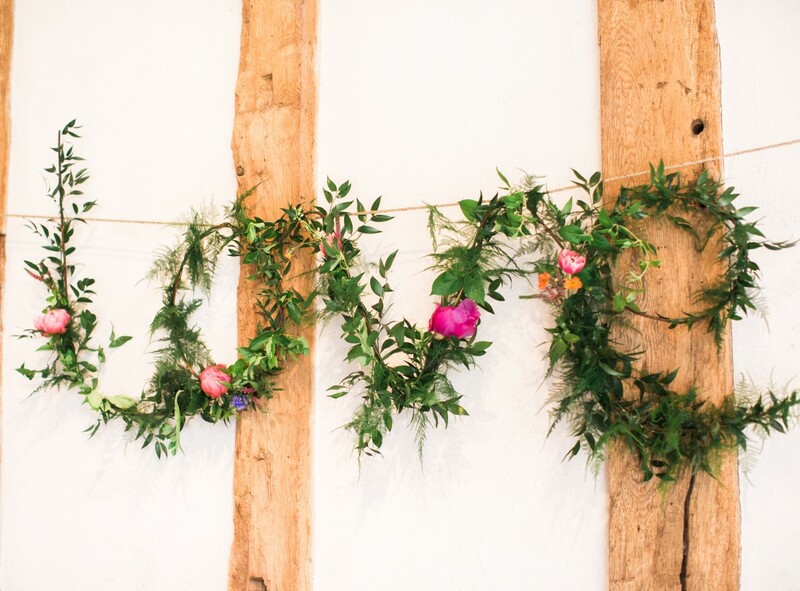 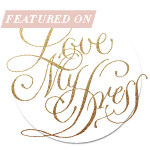 I had fun creating some LOVE letters of foliage and flowers; which Mark had cleverly made a base for, top groom skills!